After censuring Corianton for his immoral and detrimental conduct (Alma 39:1–3), Alma perceived that his son’s “mind [was] worried concerning the resurrection of the dead” (Alma 40:1). Corianton’s concern is somewhat startling, though, considering that his father, Alma, was a prophet and the high priest over the land (Alma 5:3). Why would the son of a prophet struggle to understand one of the most fundamental doctrines of the gospel? One likely possibility is that Corianton was exposed to religious philosophies that either dismissed or corrupted the true doctrine of the resurrection. Early in the Book of Mormon, Lehi and his son Jacob taught the reality of the resurrection explicitly (2 Nephi 2:8; 9:6). It seems, though, that sometime between the death of Jacob and the reign of King Mosiah a portion of the people rejected this teaching. For instance, the way Abinadi emphasized the resurrection when he confronted King Noah and his priests suggests that this doctrine was not being correctly or sufficiently taught among the people in the city of Nephi. Likewise, when Alma the Elder strove to perpetuate Abinadi’s teachings, many of the rising generation “did not believe what had been said concerning the resurrection of the dead” (Alma 26:2). As a rebellious youth, Alma the Younger himself likely rejected the reality of the resurrection and was “numbered among the unbelievers” before his miraculous conversion (Mosiah 27:8). These types of textual clues indicate that some outside teaching or philosophy may have been competing against the true doctrine of the resurrection. What is more certain is the way that Nehor negatively influenced attitudes toward this doctrine. Unlike Korihor, who completely denied the existence of God (Alma 30:2), Nehor introduced the concept that the “Lord had created all men, and had also redeemed all men; and, in the end, all men should have eternal life” (Alma 1:4). Nehor’s divergent theology obviously had influenced the young Corianton’s views of resurrection and judgment, and yet it conflicted with the eternal laws of justice and judgment embedded in the true doctrine of the resurrection (see Alma 42:22). Despite his trial and execution, Nehor’s enticing doctrines became popular among the people—so much so that his philosophy was formally designated as “the order of Nehor” (Alma 14:16; 24:29). Unfortunately, Nehor’s heresy was promulgated by the Amlicites, who, by the time of Corianton’s ministry, had gained prominent influence. Recognizing the historical controversy that surrounded the doctrine of the resurrection can help readers better understand the root cause of Corianton’s confusion. His concern over this doctrine was not likely due to casual curiosity or mere inquisitiveness. It seems, rather, that he was surrounded by philosophical and theological ideologies that directly contradicted a foundational tenet of his father’s religion. Corianton’s immoral behavior can also be meaningfully correlated to his concerns and doubts that threatened his faith in Jesus Christ, the reality of His death, the resurrection, and the final judgment. Alma believed that the righteous till the time of Christ would be resurrected with Him (Alma 40:20). It is uncertain what Corianton’s specific beliefs were prior to his father’s exhortation, but, thematically speaking, Alma’s treasured instructions to Corianton helped him understand the systematic nature and crucial functions of the resurrection. Alma had clearly taught on several occasions that an essential part of the gospel was believing that through the resurrection all men shall eventually stand before God in their bodies to be judged according to their works while in the flesh (Alma 33:22; 40:22–26). Recognizing that Corianton and others were questioning and were worried about this very thing, Alma then patiently guided Corianton through the logical argument which explained the meaning of the word “restoration” (41:2–15) and defended the balance of justice and mercy inherent in this system (Alma 42). Similar to Corianton’s environment, modern society faces a host of misguided philosophies and false teachings which can threaten faith in true doctrines. Alma’s brilliant exposition powerfully demonstrates that true knowledge of sacred things cannot be inherited and is only obtained through diligent seeking and sincere prayer. In all of this, modern readers can learn much from Alma’s example of helping a loved one find meaningful answers to difficult and productive questions. Keith Thompson, “The Doctrine of Resurrection in the Book of Mormon,” Interpreter: A Journal of Mormon Scripture 12 (2016): 101–129. Douglas J. Merrell, “The False Priests of the Book of Mormon,” in Selections from the Religious Education Student Symposium 2005 (Provo, UT: Religious Studies Center, Brigham Young University, 2005): 87–94. See John Hilton III and Jana Johnson, “Who Uses the Word Resurrection in the Book of Mormon and How Is It Used?” Journal of the Book of Mormon and Other Restoration Scripture 21, no. 2 (2012): 30–39. For a deeper analysis of the early doctrine of resurrection in the Book of Mormon, see A. Keith Thompson, “The Doctrine of Resurrection in the Book of Mormon,” Interpreter: A Journal of Mormon Scripture 12 (2016): 114–115. See Thompson, “Doctrine of the Resurrection,” 108–109. See John Hilton III and Jana Johnson, “Who Uses the Word Resurrection in the Book of Mormon and How Is It Used?” Journal of the Book of Mormon and Other Restoration Scripture 21, no. 2 (2012): 32–33. 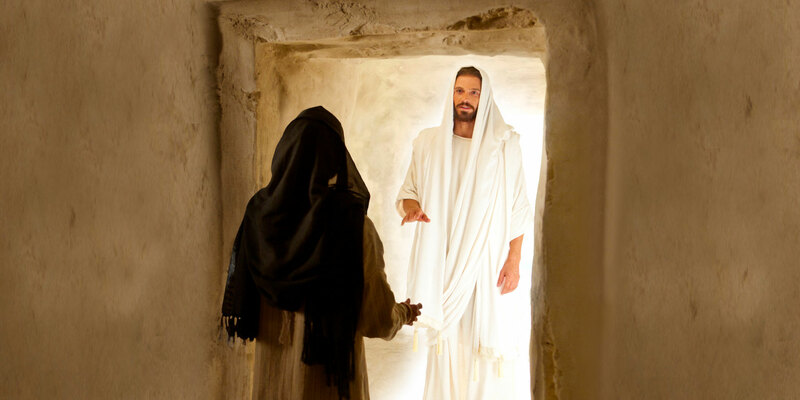 It is also notable that after Alma privately taught “concerning the resurrection of the dead, and the redemption of the people,” we learn that “many did believe on his words” (Mosiah 18:2–3). This statement makes best sense if the resurrection was previously unknown or unaccepted among the people in the land of Lehi-Nephi. Abinadi taught among the people of Noah who resided in the land of Lehi-Nephi, whereas Alma continued these teachings in the land of Zarahemla. It is significant that the societies in both locations struggled to accept the doctrine of the resurrection. See Book of Mormon Central, “Why Does Alma Mention ‘the Plan’ Ten Times in His Words to Corianton? (Alma 42:13),” KnoWhy 150 (July 25, 2016). See Douglas J. Merrell, “The False Priests of the Book of Mormon,” in Selections from the Religious Education Student Symposium 2005 (Provo, UT: Religious Studies Center, Brigham Young University, 2005): 87–94. See also J. Christopher Conkling, “Alma’s Enemies: The Case of the Lamanites, Amlicites, and Mysterious Amalekites,” Journal of Book of Mormon Studies 14, no. 1 (2005): 113–115. See Book of Mormon Central, “Why Was Corianton’s Sin So Serious? (Alma 39:5),” KnoWhy 147 (July 18, 2016). Thompson, “Doctrine of the Resurrection,” 124. Alma specifically points out that eventually all will know that God Himself fully comprehends and controls the timing of the resurrection: “And when the time cometh when all shall rise, then shall they know that God knoweth all the times which are appointed unto man” (Alma 40:10). It is also important to consider that Alma 40 is just the beginning of Alma’s discourse on the resurrection. This chapter mainly establishes that, after death, the spirits of the righteous will be “received into a state of happiness,” while the spirits of the wicked will be “be cast out into outer darkness” (Alma 40:12–13). Alma 41–42 aim to justify the doctrine of resurrection and judgment that are clearly delineated in Alma 40. I find it curious that Alma and Corianton were both thinking about death and the resurrection at the same time, about the time Corianton wanders off his mission in a funk. Sheer speculation, but I think someone very close to both of them had died recently. Could it be that Corianton was simply concerned about his future because of his behavior? I have always felt that he was very worried about what was going to happen to him, and that is why he was questioning it.